New vehicle pricing includes all offers and incentives. Tax, Title and Tags not included in vehicle prices shown and must be paid by the purchaser. While great effort is made to ensure the accuracy of the information on this site, errors do occur so please verify information with a customer service rep. This is easily done by calling us at 218-829-1465 or by visiting us at the dealership. PRICE DROP FROM $16,984, EPA 21 MPG Hwy/15 MPG City! Turbo Charged, Trailer Hitch, 4x4, Fourth Passenger Door, CD Player CLICK NOW! The best selling trucks in North America for over 30 years. Great Gas Mileage: 21 MPG Hwy. 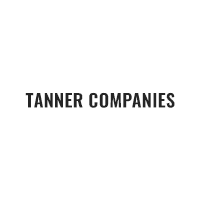 At Tanner Companies we offer a broad selection of new and used Chrysler, RAM, Jeep, Dodge, and Nissan Cars, Trucks, and SUVs to Brainerd, Baxter and the surrounding St Cloud, Alexandria, and Little Falls areas. We take pride in the vehicles we sell and strive to succeed in providing an outstanding customer experience. As a leading auto dealership in our community, we are dedicated to providing our customers with great service. Pricing analysis performed on 1/15/2019. Horsepower calculations based on trim engine configuration. Fuel economy calculations based on original manufacturer data for trim engine configuration. Please confirm the accuracy of the included equipment by calling us prior to purchase.